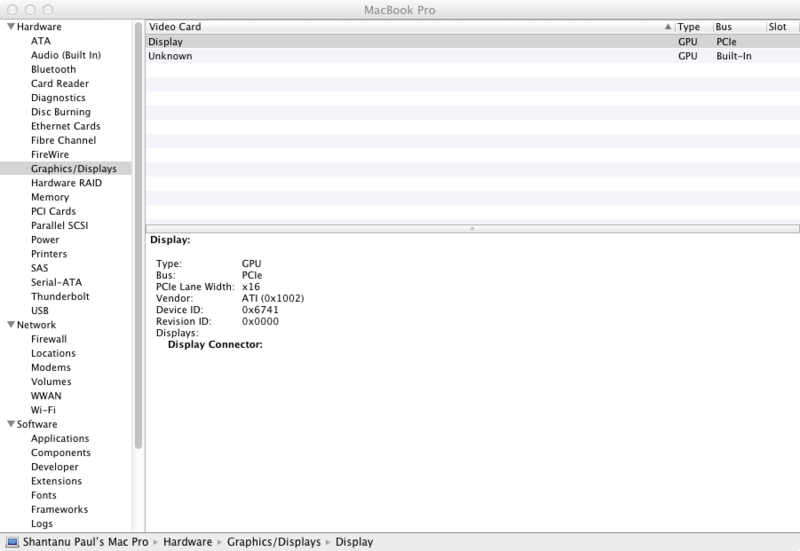 Issue 165: AMD Radeon HD6630M support & muxless gpu switching in laptops - Chameleon open source boot loader project. Windows while less than 2hrs on OSX. turn connected to the display. This is the new "Muxless"
be it AMD or NVIDIA. I don't know if Apple Macbooks too have such "muxless"
though. Is such config supported in Chameleon ? default with GraphicsEnabler=no but the card name isn't detected. IOreg shows that no framebuffer is being loaded for the card. theoretically it should work under OSX. I installed the lates version which is r1478, I believe. Also I see a "Unsupported Card!" message at boot. I think I've provided the necessary info. Any update please. framebuffer set because i got no conclusive user feedback. hardware; that's why you get "Unsupported Card!". About "muxless", i don't know.. not enough info atm. As far as i'm concerned, the issue can be closed. society, is just one step away from annihilation!